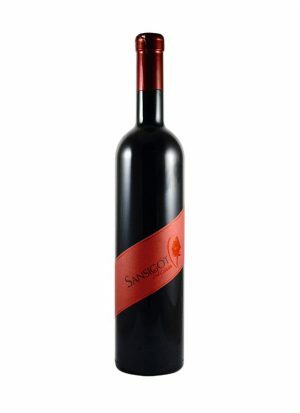 One of the 3 wines that we recommended tasting next is red Sansigot, that kept amazing us. 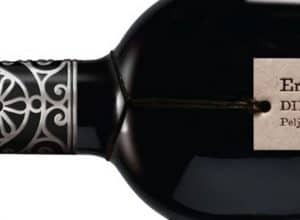 We looked and tasted winemakers archive to see if we can recommend keeping the wine – and most certainly, Sansigot showed even better with some further aging in the bottle. Sansigot grows and can be found on island Krk. But, its history and homeland take us to another island. The Susak island is the home of this indigenous red grape variety and the reason why it survived phylloxera. Sandy soil in the vineyards of Susak kept the disease away. The island of Krk, especially Vrbnik, is very well known for its white wines – made from Žlahtina that today covers about 95% of the island’s production. 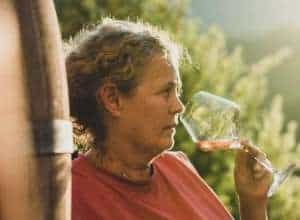 One winemaker, though, dedicated his work in revitalizing old and almost forgotten grape varieties. 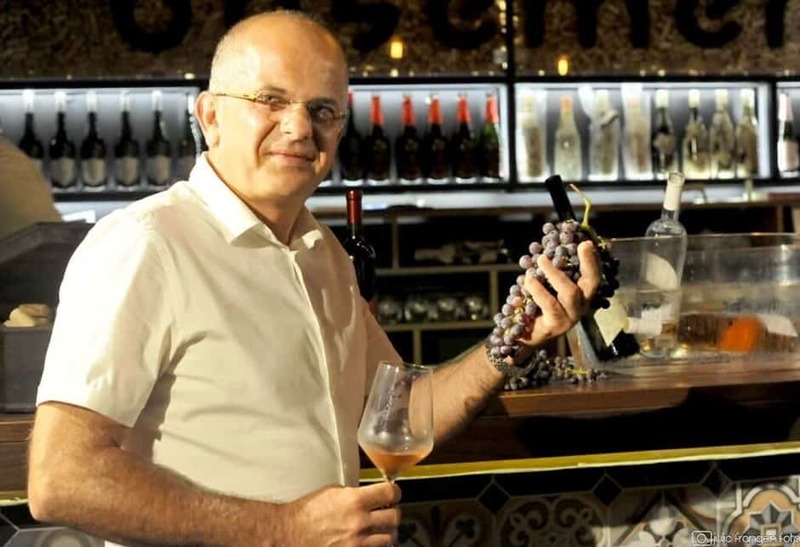 Ivica Dobrinčić from the Šipun winery, today has a grapevine nursery that successfully recuperated Sansigot. And his is also one of the only two winemakers that produce mono-varietal Sansigot. Production of this interesting red is so limited that most of the bottles that are put on the market are consumed in the following year. With the help of Ivica Dobrinčić, we located one of the few 2013 bottles of Sansigot so we can talk more about how the wine is showing. The current vintage on the market, Šipun Sansigot 2015, really doesn’t act like a grape variety grown by the sea. In terms of the freshness and the preserved acidity, this is a wine that makes you think you are tasting continental wine. 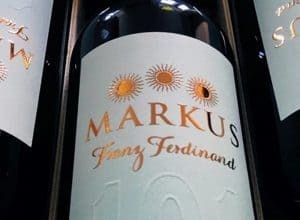 Like one of our friends said, it reminds us of Burgenland reds. Climate conditions here, in the Vrbnik fields, seem to combine the best out of the continent and the sea. Sansigot is fresh, easily enjoyable with food and in any time of the year – hot summers and cold winters. The delicate fragrance of cherries leaves a mark on a nose as well as the palate. You can sense the vivid and juicy structure of the wine, gently matured in oak barrels. We couldn’t wait to see what will happen with the archive bottle, to see where Sansigot can take us? The Šipun Sansigot 2013 was an instant delight. Aromas got rounder and more expressive. Oak wonderfully integrated into the wine giving it spicier character. Pure fruit that now got concentrated without losing the refreshing segment recognizable by the Sansigot variety. The bottle that showed that Sansigot has much more of a future than the market accredits. Which is even more interesting, while you can have it by the great price 12,99 EUR. To conclude, Sansigot is very exciting and unique grape variety. Delivering the fruit and flavors without a sense of weight.